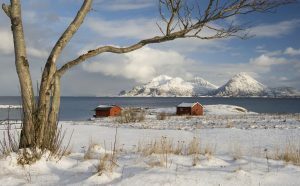 Due to the northern latitude, the main parts of Norway enjoy a real winter, with snow and ice throughout the winter months. 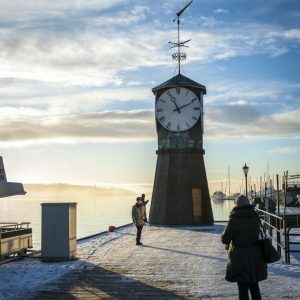 The climate along the Norwegian coast is normally milder due to the warm water of the Gulf Stream, but these parts may also experience really cold periods. The mean temperature in January is only -3 Degrees Celsius, while one would expect it to be far colder, considering its northern latitude. 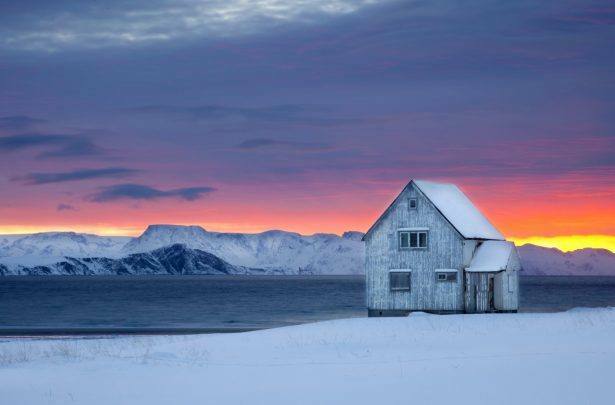 A few weeks from November to January the sun does not show above the horizon, but it is not completely dark – you will be amazed by the wonderful, Arctic blue light. Tromso offers all kinds of winter & snow based activities such as dog sledding, snow mobile safaris, reindeer sledge & whale safari, but most people visit Tromso in winter to experience the spectacular Northern Lights. This Arctic town is located far northeast in Norway, close to the Russian border. 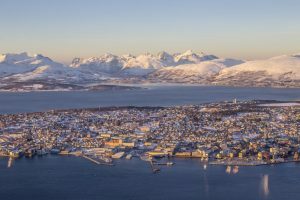 The winter climate in Kirkenes is colder and drier than in Tromso, with a mean winter temperature of app. 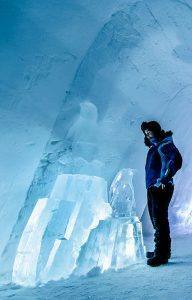 minus 8-10 degrees Celsius. 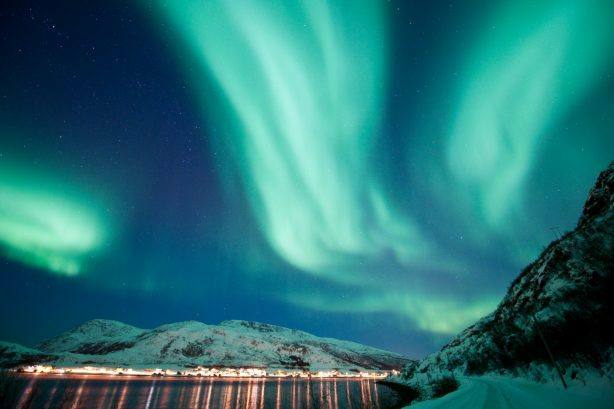 The city of Northern Lights is the largest city in the county of Finnmark. The city lies in the innermost reaches of the stunningly beautiful Alta Fjord. 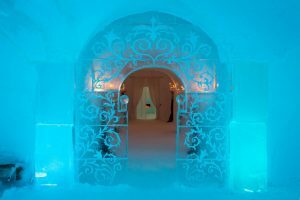 During winter temperatures can drop to below -30oC, but the dry climate makes the cold all part of the experience. The Arctic winter light and Northern Lights are fascinating aspects of the dark polar nights. 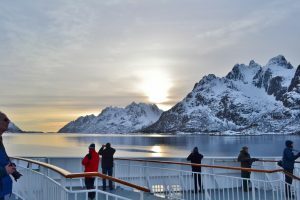 The Norwegian Hurtigruten ship line offers cruises along the Norwegian coast throughout the year, with beautiful scenery along the Western coast. Heading north past the Arctic Circle, chasing the Northern Lights at the open sea is the ideal location, with no city lights to pollute the visibility. 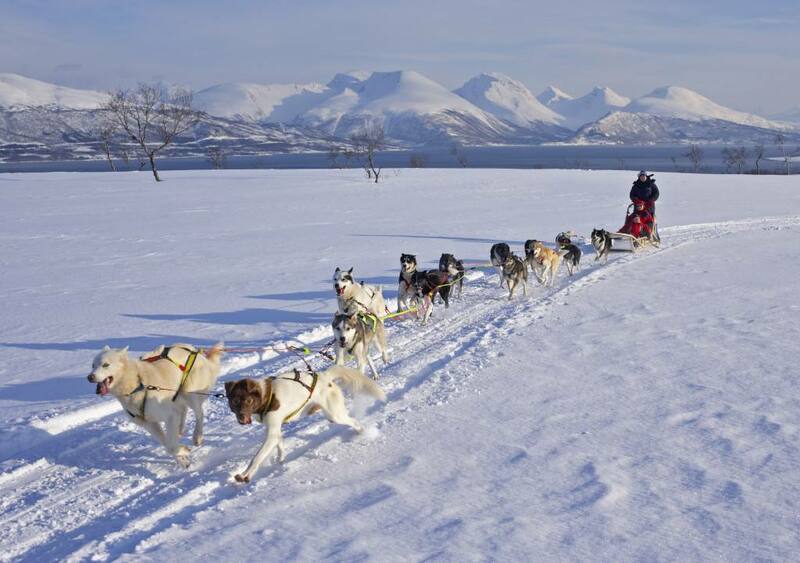 We have put together a selection of amazing winter cruise packages – hunting the Northern Lights, with Dog sledding, Snow mobile safari, North Cape excursion & overnight stay in a real Snow Hotel. The fjords are beautiful in winter as well. 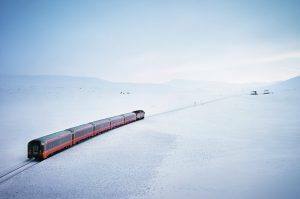 You can join the extensive, 5 nights Norway in a Nutshell round trip starting in Oslo, with the scenic Bergen rail line across the beautiful, snow covered Hardangervidda mountain plateau to Bergen. Spend 2 nights in picturesque Bergen, then by train and coach to the fjord village of Gudvangen. Here you board a ferry for a 2 hour fjord cruise on the amazing, narrow Unesco Naeroyfjord & the Aurlandsfjord to the village of Flam. 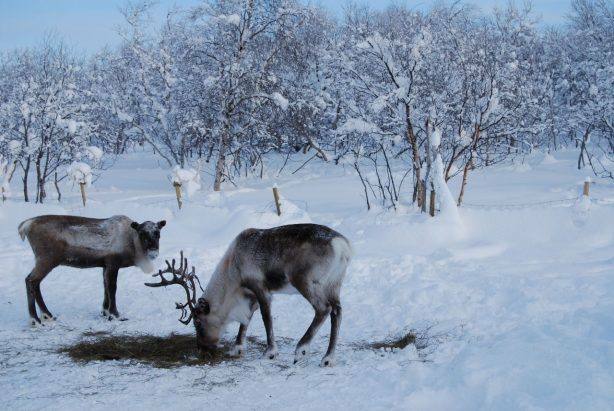 You can add an exciting winter fjord safari in Flam. On this tour you have the chance to get close to small villages and waterfalls along the way, with a stop for hot drinks and a taste of the local goat cheese in the village of Undredal. Continue on the famous Flam Railway & Bergen line to Oslo. Normally Oslo has cold winters, with snow covered hills from mid December to April. Winter activities are important for the people of Norway, and in Norway’s capital Oslo it is a common feature to see people carrying their skis on the trams or tubes. Oslo offers more than 2,600 km (1,600 miles) of prepared ski trails. 90 km are lit for the special atmosphere of evening tours. Oslo also offers excellent Alpine skiing facilities; the largest is Oslo Winter Park Tryvann with 14 slopes & 6 lifts. 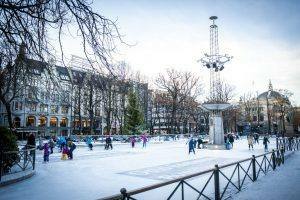 Oslo also offers ice skating and sledding facilities.